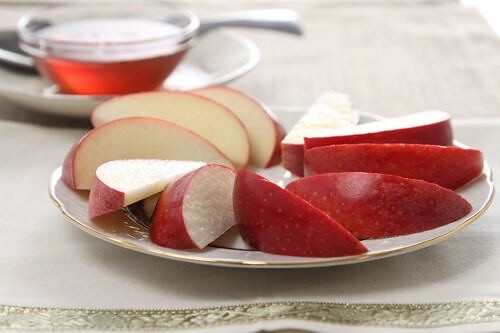 The apple is a wonderfully versatile fruit that can be used in savory and sweet dishes alike. Everything is better in bite-sized portions, even pie. We think these miniature versions would be perfect for breakfast—they do have fruit in them!—or as a sweet treat post dinner. If you’re feeling adventurous, swap out apples for pears or even add a bit of pumpkin puree for an even more in-season treat. Warm up with these Cocktails – still perfect for after Thanksgiving! Holidays means two things for most of us: feasting and family! As far as feasting, the panoply of dishes at the holiday table usually has hosts and guests alike wondering what they should offer to drink. While I believe wine is best for the meal (and all your wine concerns can be quelled with one of our holiday six-packs….merciless plug, I know! ), following are two cocktails that will certainly make cocktail hour and dessert a delicious success. As far as family is concerned, these offerings should put a smile on the faces of friends and family alike and calm the nerves so often associated with entertaining for the holidays! Both the Gingered Apple and Kentucky Toddy can be served before or after your holiday dinner. “The Gingered Apple” brings together the sweeter tones of Domaine de Canton Ginger Liqueur and Red Jacket Orchards All Natural Apple Cider with the savory elements of Buffalo Trace Bourbon, Dolin Dry Vermouth, and Regan’s Orange Bitters. The resultant cocktail is a balanced expression of autumnal yumminess! If you’re looking for a lighter expression of the ingredients it is best to shake in your cocktail shaker. If a stronger drink is desired, simply add ingredients to shaker, fill with ice, and stir instead of shaking to avoid dilution…. This week marks Rosh Hashanah, the first of the High Holidays in the Jewish calendar, when families gather around meals that mark the new year.